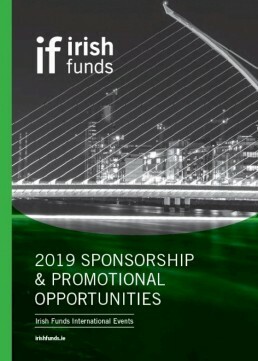 A Notice of Intention in relation to the location requirement for directors and designated persons of Irish Fund Management Companies. The Notice of Intention clarifies that should the UK leave the EU on a no-deal basis, the Central Bank will consider whether the UK is a country that meets the Effective Supervision Requirement. For the period while this is under consideration, the Central Bank does not propose adopting a default position which would treat the UK as not satisfying the Effective Supervision Requirement. A new Q&A ID 1129, in relation to Irish Qualifying Investor AIFs with UK AIFMs. The Q&A clarifies that a QIAIF will be permitted to designate a UK AIFM as its AIFM. The Central Bank notes that QIAIFs migrating to such an arrangement need to assess the impacts arising from the loss of the marketing passport under AIFMD including notification to investors, amendments to documentation, filings with the Central Bank or other supervisory authorities and any other operational issues. Furthermore, on 4 February, ESMA announced the agreement of ‘No-Deal Brexit MoUs with the Bank of England' for recognition of UK CCPs and the UK CSD. The conclusion of MoUs between ESMA and the Bank of England satisfies the third recognition condition - establishment of cooperation arrangements - under both CSDR and EMIR. The purpose of the MoUs is to limit the risk of market disruption in central clearing and to also allow the UK CSD. i.e. CREST, to continue to serve Irish securities, and to limit the risk of disruption to the Irish securities market in the event of a no-deal Brexit. Further updates from the Central Bank and ESMA can be viewed in the Central Bank’s Markets Update.